The 2016 Zika public health emergency illuminated the need for local health departments (LHD’s) to establish effective infrastructure to respond to new infectious diseases. There are several national programs designed to incentivize LHD’s to improve their levels of preparedness. However, local health departments have expressed concerns about the duplicative and overlapping requirements. Project Public Health Ready (PPHR), sponsored by the National Association of County and City Health Officials (NACCHO), aims to protect the public’s health and strengthen public health infrastructure. By equipping local health departments with sustainable tools to plan, train and exercise using a continuous quality improvement model, it helps to address preparedness gaps through improved coordination with other national programs. Three programs PPHR staff works to coordinate with are the Public Health Accreditation Board (PHAB) process, the Public Health Emergency Preparedness (PHEP) program and the Medical Countermeasures Operational Readiness Review (ORR) program. The latter two programs are operated by the Centers for Disease Control and Prevention. The mission of PHAB, as stated on their web site, is to improve and protect “the health of the public by advancing and ultimately transforming the quality and performance of…public health departments.” Departments must document proficiency on a variety of standards in order to receive accreditation status. The PHEP program funds a range of programs and activities at the state and local levels to help ensure that public health agencies are prepared to respond to emergencies. One of the stated goals of the program is to strengthen public health through collaboration. Many of the capabilities that those departments receiving funding through the PHEP program must demonstrate involve collaborative effort. The ORR program, which has some overlap with the PHEP program, seeks to assess state and local health departments’ readiness to distribute and dispense medical countermeasures on a 4-stage continuum from early to advanced. 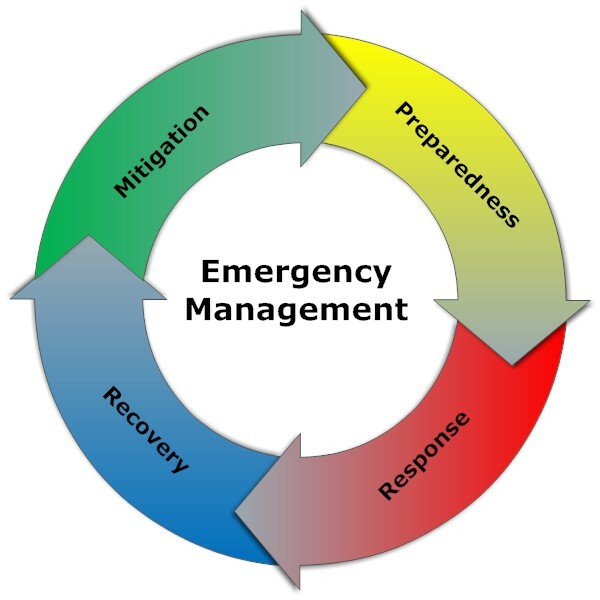 Departments are assessed on capabilities including community preparedness (see below), emergency operations coordination, public information and warning, information sharing, and management and distribution of materiel from the Strategic National Stockpile. NACCHO already has a document showing how completion of parts of the application for PPHR will also help to prepare for a PHAB application. One NACCHO staff member noted that participation in PPHR will at least give departments a sense of what the larger PHAB process will involve. The staff member also noted that a previous applicant created a workforce development plan that was compliant with both programs. Efforts to align with other national programs have given PPHR staff an opportunity to highlight the program’s utility. For example, NACCHO engaged in publicity surrounding the release of a PPHR/PHAB crosswalk tool. More states encouraging local health departments to participate in PHAB could boost participation in PPHR, as the NACCHO program can serve as a stepping stone to PHAB accreditation. One area of concern consistent across preparedness-related programs is incorporating community members in planning and preparedness processes. Both PPHR and PHAB have modules for this area, as do the Public Health Emergency Preparedness grant program and the related Medical Countermeasures Operational Readiness Review. PHAB requires LHDs demonstrate participation in a comprehensive coalition or several partnerships, while PPHR requires that local departments identify hospitals, clinics and other relevant institutions in the area and provide evidence of all-hazards and joint planning. Both PPHR and the PHEP programs require the identification of vulnerable populations and how services will be provided to them, as well as outlining how the public will be given an opportunity to provide input for preparedness planning. PPHR and the ORR program both emphasize identifying community health risks and building community partnerships to address them. Along with NACCHO and CDC, other organizations like the Blue Ribbon Study Panel on Biodefense and the Center for Health Security are working to elevate public health emergency planning and preparedness on the national agenda. However, even as advocates seek to incorporate local health departments into a sophisticated and highly coordinated framework of public health preparedness, it is acknowledged local health departments are increasingly asked to do more with fewer personnel and resources. It is also likely federal public health funding will be further cut in the near future. 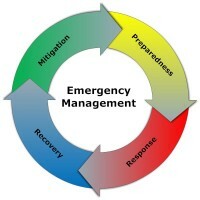 While there are numerous obstacles to local public health preparedness, taking advantage of opportunities to better professionalize their organizations through the PPHR and PHAB programs is one way that departments can put themselves on a better footing to be an effective partner during a public health emergency. The fact PHEP funding can be used to cover participation costs associated with PPHR, while participation in PPHR can prepare departments for public health accreditation, demonstrates the interconnectedness of these programs. Furthermore, overlap between PHEP and ORR can allow departments to focus specifically on medical countermeasures logistics, while at the same time bolstering their overall infrastructure. Efforts to coordinate these programs can serve as valuable force multipliers, help to get the most out of preparedness funding and serve as models for coordinating other preparedness programs. Therefore, it is important that government and non-government organizations align programs aimed at preparedness and professionalization to make sure departments can meet future public health challenges. Author: Nathan Myers is an associate professor of Political Science at Indiana State University. He primarily teaches courses in the Master of Public Administration program. Myers is also a member of the Indiana State University Center for Genomic Advocacy. His teaching and research interests include organizational behavior, public health policy, and biotechnology policy associated with genomic research.